During intuitive readings, people often ask what they can do to feel happier. 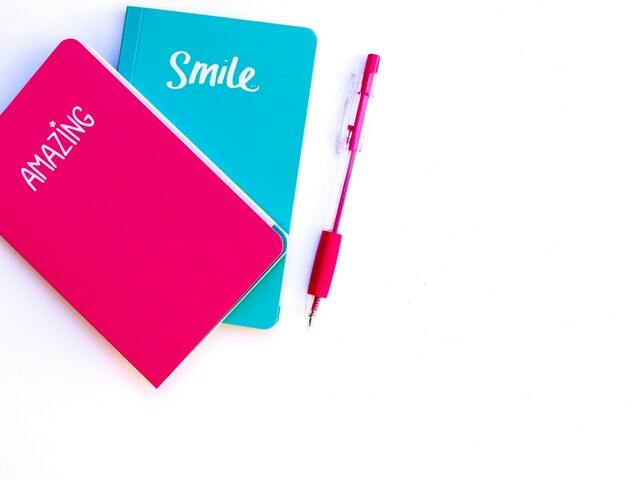 If all you needed was to write something down for about 10 seconds a day to feel happier, would you do it? Last May, I attended a workshop presented by Dr Timothy Sharp – or 'Dr Happy' as I've heard him called. There were lots of ideas in the workshop about what you can do to have a happier life. The thing that stood out for me though, was hearing about an experiment involving the 'three good things' exercise. They found that this simple exercise worked to help people feel happier, and that its effectiveness was comparable to traditional therapies for depression, such as medication and counselling. But here's the amazing thing – the benefits lasted six months! This was after doing the exercise for only two weeks. It sounded so simple that I wanted to try it out straight away. To my surprise I noticed a big improvement in my mood soon after I started. Once I got the hang of it, it only took about 10 seconds a day. Last year, I stopped doing this exercise after the recommended two-week period. Now I'm going to trial it again, and this time do it for a month to see if the benefits last longer. If you're keen, I'd love to hear if you also plan to give the 'three good things' exercise a try, and whether or not you feel any different afterwards. If you need more inspiration before you commit to the experiment (or worried that you won't come up with three good things each day), here's an entertaining video on gratitude by the comedian Louis C.K. : Everything's amazing, nobody's happy.